Senior Showgirl Competiton - Finley Show Society Inc. 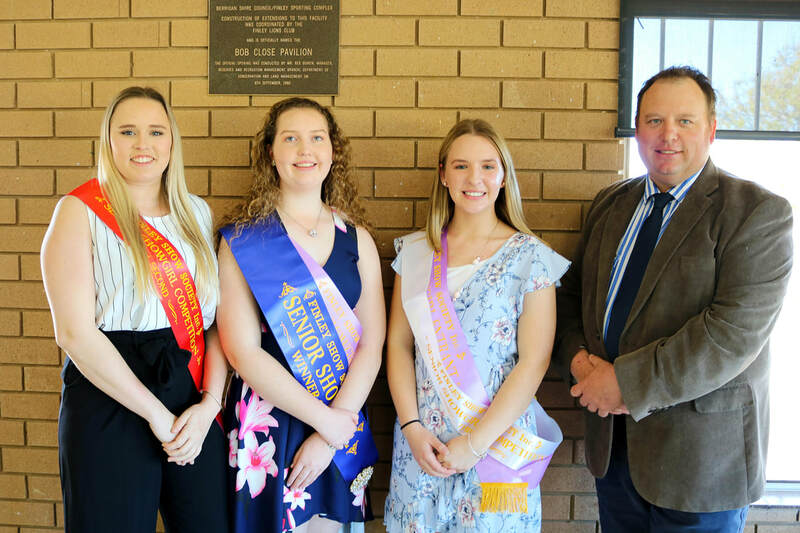 The Land Sydney Royal Showgirl Competition aims to find a young female Ambassador for rural NSW and the agricultural show movement. The Showgirl Competition is not a beauty pageant. Entrants must have a genuine interest in, and knowledge of, rural NSW. The Competition encourages the participation and awareness of issues faced by women in rural NSW. Contestants are judged on; personality, confidence, ambition and life goals, general knowledge, rural knowledge, presentation and speech. Finalists must also demonstrate knowledge of their local community and current affairs. In addition to their potential ambassadorial qualities, contestants are also judged on their involvement in and experience of rural affairs. The competition is open to girls 18-24 as at May 1, 2020. Any young ladies interested are asked to contact Michelle Barnes. Judging will take place prior to or on Show Day, and all contestants are asked to help during Show Day. The winner will go on to the Zone Final in Finley in February 2020.